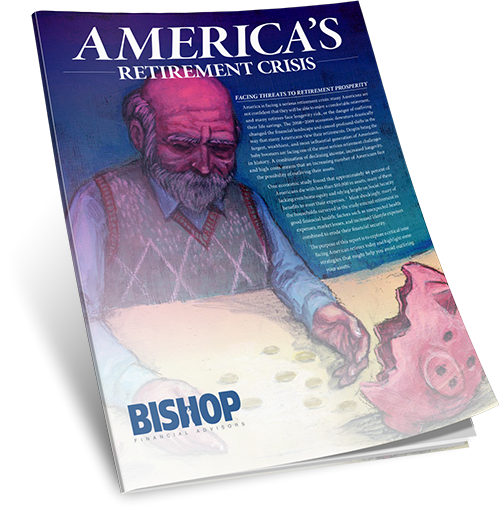 Bishop Financial Advisors prides itself on getting to know you personally by understanding that your financial situation is unique, complex, and is best served by someone who shares your values. Personal: You will appreciate our personal approach that treats you as a person with dreams, aspirations, and feelings instead of an investment account. Professional: Our experience, continuing education and training, professional certifications, and affiliations make us qualified to provide sound advice, solid management, and comprehensive wealth planning. Ethical: Holding ourselves to the highest standard of honesty and integrity, we provide financial clarity and independent advice to match your values.